Ships tomorrow if you order in the next 21 hours 16 minutes. B-17, also known as amygdalin, is a vitamin that's essential for optimal overall health. It's found in many different foods, but you might not eat as many of those foods as you should. 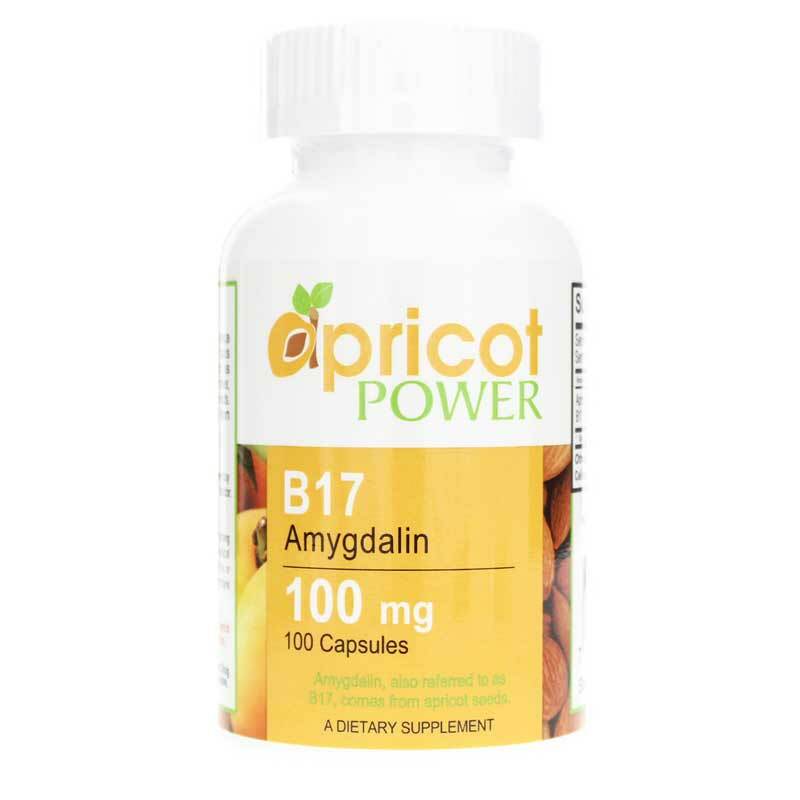 Amygdalina B-17 Novodallin Apricot Kernel Extract from Apricot Power is the ideal natural supplement that gives your body optimal amounts of B-17 to help you achieve better overall health. 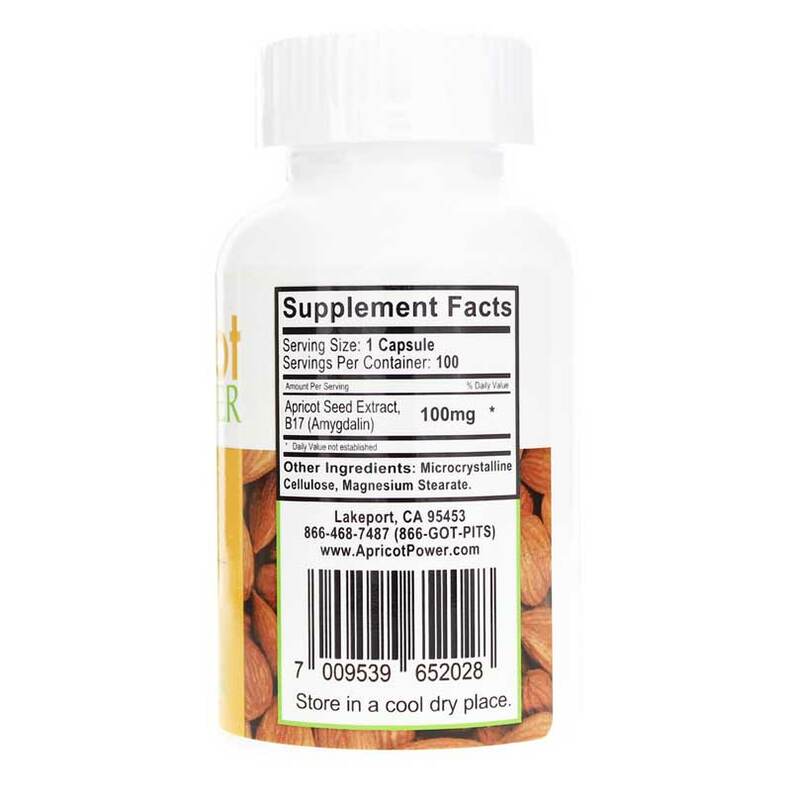 You'll get 100mg of apricot kernel extract in every capsule! 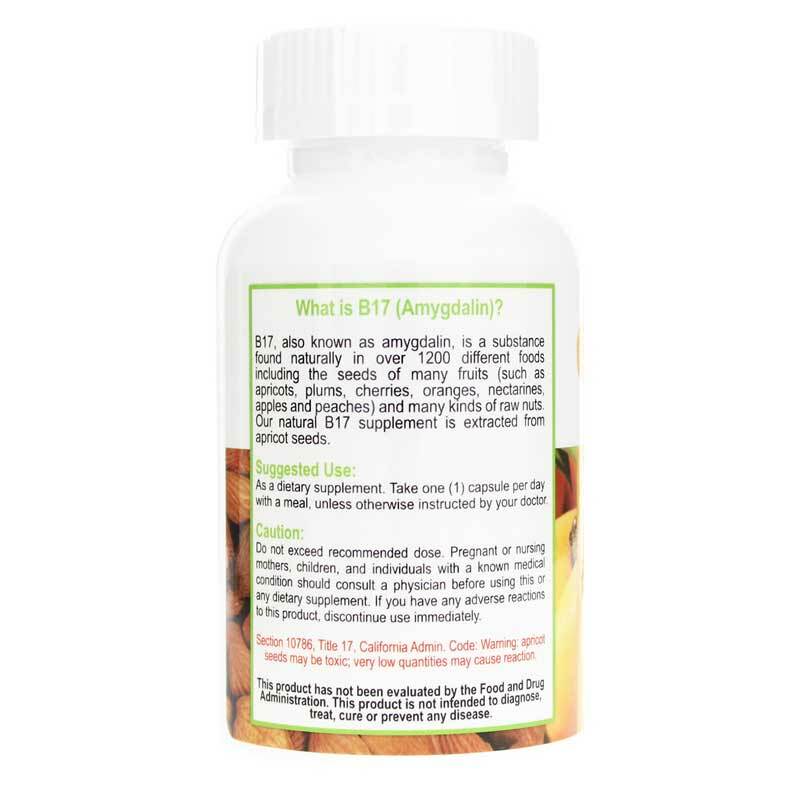 Amygdalina B-17 may help reduce pain associated with arthritis, lower blood pressure, and may also help give your immune system a healthy boost for optimal overall health. Give your body the B-17 it needs to help keep you at optimal health. Try Amygdalina B-17 Novodallin Apricot Kernel Extract from Apricot Power today! Other Ingredients: hypromellose (veggie capsule), rice flour. Adults: As a dietary supplement, take one capsule daily with a meal or as recommended by a healthcare professional. Do not exceed recommended dose. As with any dietary supplement, consult your healthcare practitioner before using this product, especially if you are under 18, pregnant, nursing, anticipate surgery, take medication on a regular basis or are otherwise under medical supervision. If you have any adverse reactions to this product, discontinue use immediately. Keep out of the reach of children. Perfect from order to delivery, I thank you for your great customer service and quality prodeucts! Nice smooth check out process. I found a sport on my dogs face that would not heal. Giving B17 and now healed. I have taken B-17 for years for cancer. Ordering from Natural Healthy Concepts is so much faster delivery than the company I was using before. Plus the other company never offered me discount coupons. I will continue with Natural Healthy Concepts as long as I have good satisfaction. Hoping for good results with this product.